Self-unloading farm trailer with a stainless steel tank. This machine, which our company has the patent from the ’60s, has been modified and refined over time to minimize the damage of the product using a special screw, low speed of rotation, the absence of support, suitable inclination of the tank. The output of the product takes place and leads through a circular manhole. 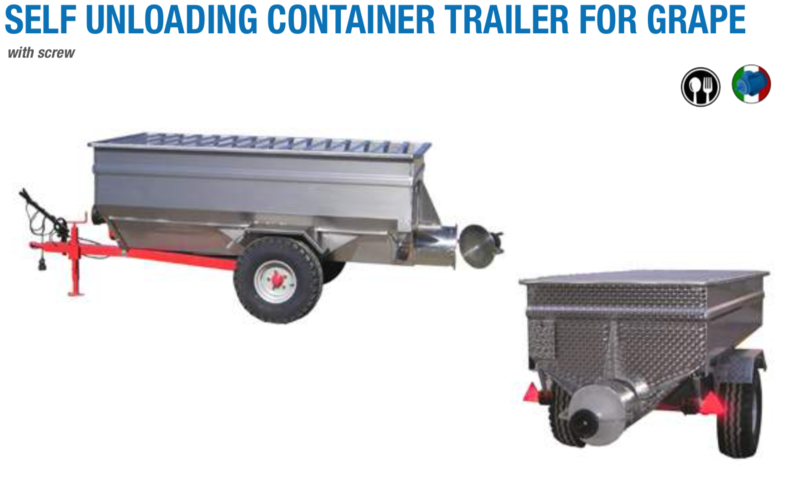 Available in two versions with a load capacity of 2-2.5 m3 or 3 m3. On request, it is possible to apply the stainless steel tank to an already existing frame.